The annual spring migration of monarch butterflies from Mexico northward could reach Kansas in the next few weeks. The monarchs are important pollinators across the U.S. but have seen large declines in their numbers due to habitat loss and climate change. While the number of monarchs spotted in Mexico this winter was higher than anything seen in more than a decade, it will take near perfect conditions during their spring migration to see an increase again next year. Many experts aren’t willing to assume that will happen. The weather could be less favorable. And there’s the continued problem of habitat loss. Monarch butterflies move northward in the spring through generations. Kansas usually sees the second or third generation in the spring. This year the butterflies should arrive in early May. A few monarchs have already been spotted in the state, but it’s actually good thing they haven’t been seen yet in larger numbers. 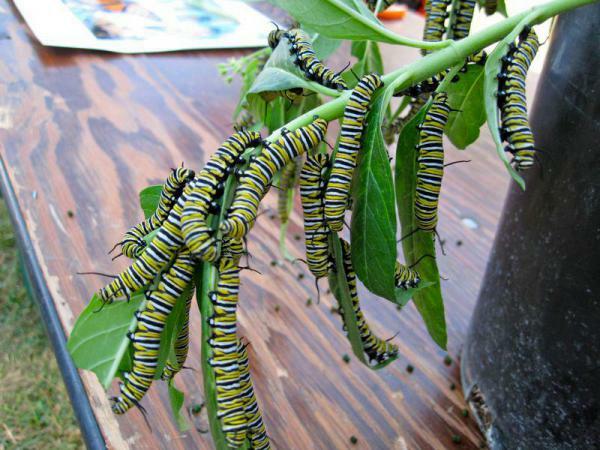 “When the butterflies spread their eggs out too far north too soon that has a negative effect,” Monarch Watch director Chip Taylor said. The first generation of each year departs Mexico in early spring and lands in Texas. Those butterflies then lay eggs on milkweed before dying. The successive generations repeat the process, following the path of emerging milkweed north through the summer until the last generation heads back down to Mexico for the winter. But the timing of monarch migration is greatly affected by temperature. It can’t be too cold or too hot. And climate change is playing a role. As average temperatures rise around the world migrations could end altogether, even if other efforts to boost population growth are successful. Monarchs have seen a huge decline in their population since the mid 2000s. The decline is largely due to the loss of native prairies and the milkweed monarchs are so dependent upon. “It’s very, very clear that we have to restore a lot of habitat,” Taylor said. The United States Department of Agriculture has realized how important monarchs are to many ecosystems and offers some funding and technical expertise to landowners who want to change their management strategies to aid wildflower restoration. The majority of Kansas counties qualify for the program. “The wildflowers, the milkweed, the plants out there are an important part to the rangeland and the overall health of the rangeland,” said Andy Burr, a state biologist with the USDA’s Natural Resources Conservation Service. In this way, helping monarch’s also helps the cattle and other animals that depend on the land. Even if you don’t own acres of land, conservationists say planting native species of milkweed in your backyard can make Kansas a better place for migrating monarchs. Coverage of energy and the environment is made possible in part by ITC Great Plains and the Corporation for Public Broadcasting. The National League of Cities (NLC) awarded $10,000 to eight cities across the country this week in an effort to build capacity to "take action on climate change," with Roeland Park, Kansas, being one of them. Why aren't people more panicked about climate change? Bob Berkebile thinks it has something to do with the complicated nature of the threat. "We're talking about climate change, and specifically global warming, when it's frozen outside today," Berkebile says, citing the infamous and incorrect claim that winter weather is evidence against climate change. "It's not clear to (people) what the facts are, and it's time to change that."